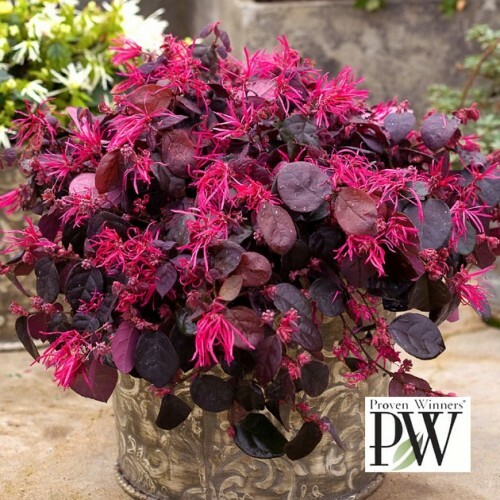 This showy little dwarf plant fits easily into smaller landscapes and containers. It has eye-catching, bold colour in both flower and foliage! It is best grown in rich, humusy, acidic, moist, somewhat gritty, well-drained soils in full sun to partial shade. The lightly aromatic, spidery flowers bloom in clusters and each flower has four narrow, downward-drooping, strap-shaped petals…very cool!